Since this is my first post for the year, I’ll be writing about various topics. The most common question people ask at the start of the New Year is “What’s your new year resolution?”. Well, I used to make resolutions, and most of the time I achieve 50% of it… so eventually I gave up making resolutions altogether. But for this year, I decided to make one: “Live healthier”. It’s broad and undefined so that I can make little changes as opposed to a concrete statement that would doom me to a 50% chance of failing. As part of my resolution, I started the Dukan Diet on 1.1.11. I know it’s the most cliche thing to do – starting a diet on New Year’s Day, but I figured that if I was ever going to go on a diet, this would be the best time to do it. According to the calculator on the Dukan Diet’s website, I’m supposed to lose 4kg and achieve my target weight in March. That’s not too long a duration and I think I should be able to meet that target. 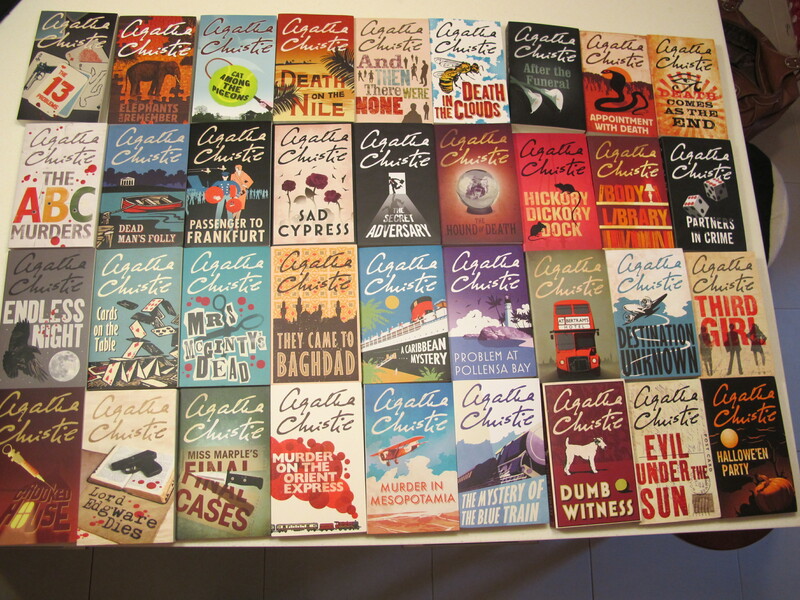 On another note, I bought 36 Agatha Christie novels simply because I was attracted to the book cover designs. 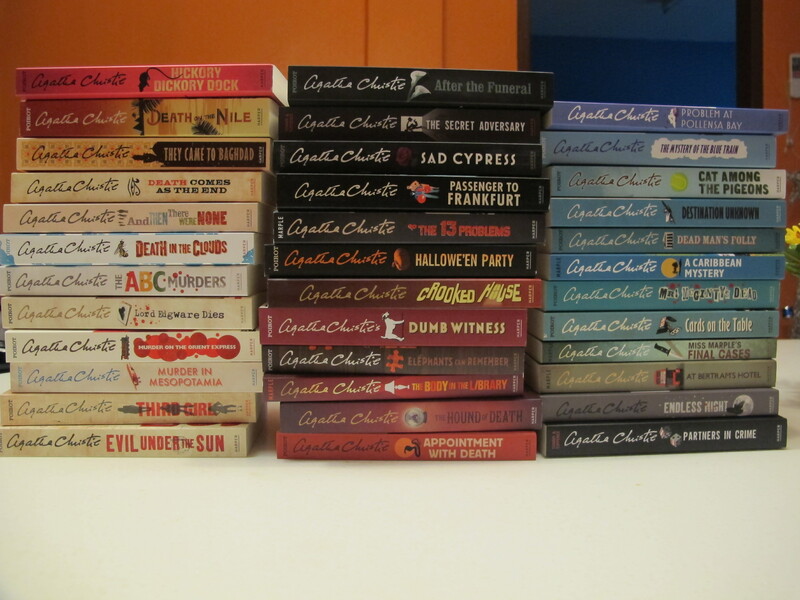 (Yes, I’m guilty of judging a book by its cover.) It didn’t help that there was a discount… something like RM35 for 2 books… so I guess I’ll be reading a lot in my “me” time. So gorgeous right? 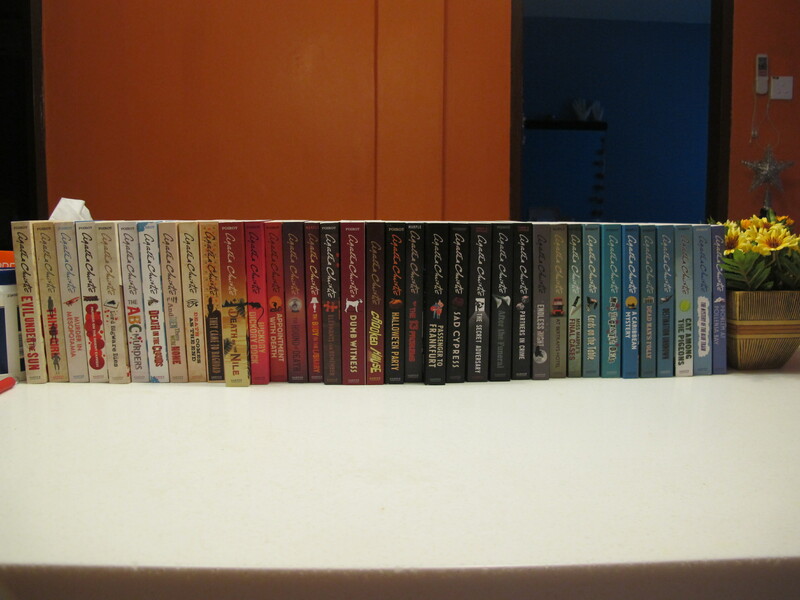 Well, looks like it’s time for me to end this blog post and start reading one of those 36 titles.